Along the Front Range, if any surface is considered ‘no-maintenance’ it’s brick-and-mortar. And while they do last longer than typical siding, even bricks require periodic care for prolonged life. 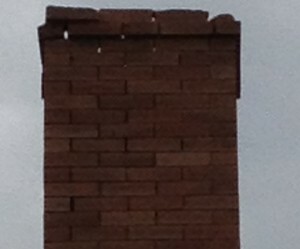 Typically oven-baked bricks are much harder than even the mortar that holds them in place. Over time the mortar can become eroded, which affects the structural integrity and the overall curb-appeal of your home. Mortar repair, or repointing, can be costly and cosmetically difficult since mortar, like everything else, comes in a variety of colors. 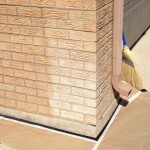 The easiest way to avoid the problem is to apply and maintain a surface coating on you brick or stone walls. It’s even more important to keep your cultured stone and faux brick sealed as they have even less material to keep everything in place. If you have natural brick a simple coat of brick sealer will keep the damage down and add a ‘new’ lustre to your wall. You’ll want to apply a brick sealer about once every ten to twenty years. The most cost-effective time to do it is during your exterior paint job as there is very little extra masking that needs to be done. The best way to check your mortar is simply run your finger down a length of wall and see how crumbly it is – the more crumbly the sooner you’ll want to have is sealed. An alternative to sealer is always paint; and when properly prepared, the surface will hold paint well. Two words of caution if you are considering painting your natural brick: First, once your brick is painted you can never go back to natural. Secondly, it’s extremely important to periodically inspect your paint! 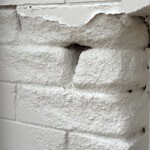 Loose paint can hold water all winter; and the expansion and contraction of our severe weather swings is exceedingly damaging to your bricks.